A great deal of information about Aranjuez (history, places to visit, transport, etc.) can be found at Spain is culture and Spain Tourism bureau websites. One may also find information on this World Heritage city in the visitworldheritage.com website (in English, French and Chinese). Aranjuez is a Historic Royal Heritage located 49 km south of Madrid city and the same distance east of Toledo, so it constitutes an ideal departing point to discover the surroundings. It is located in a fertile valley bounded by the Jarama and Tagus rivers. In 2001, the site was declared UNESCO Cultural Landscape Heritage. Aranjuez was a Spanish Royal court residence from the 15th century. During the 16th century, Philip II, king of Spain - and then of Portugal since 1580 - reflected here all his personal Dutch, Iberian and Italian influences in terms of architecture, mathematics, science and gardening, developping one of the first examples of territory appropration "ex novo" in Western Modern history. Then in the 17th and 18th centuries it prospered as the spring annual abode of royalty, a place of pageantry, hunting, and a source of inspiration for the patronage of some of the greatest Spanish writers. During the Age of Enlightenment the city reached its maximum splendour and musicians, composers, painters, architects and other artists surrounding the court left their imprints in the town, gardens and buildings. As a residence of the former Spanish monarchs during part of the year, Aranjuez saw many diplomatic and historic events of modern Spain. We will have a guided tour of the palace, and you can walk at your leisure in the garden and park during the meeting. Local gardens produce excellent strawberries and asparagus. 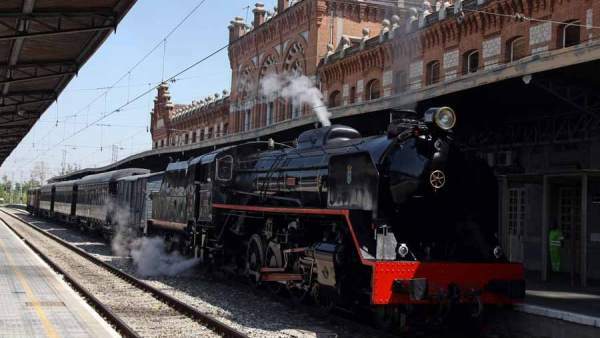 On saturdays and sundays you can ride from Madrid on the "tren de la fresa" (strawberry train). The Concert of Aranjuez was dedicated to the town by Joaquin Rodrigo. As all over Spain, in Aranjuez you can choose between two eating styles: through snacks/portions ("de tapas/raciones") or through "formal" lunch/dinner ("de restaurante"). "De tapas": Aranjuez has a long tradition in historic taverns and trendy bars to enjoy some tapas. In general, it's better to order first the drinks and see what comes for free and then go for the "food orders". Ask then for a portion ("ración") or half a portion ("media ración") of some of the specialities of the place. Portion's prices depend on the place but one can easily find them for around 7-10 euros each. A portion per person should be enough. "De restaurante": Aranjuez hosts a magnificent surrounding countryside where vegetables are cultivated. Strawberries and asparragus have widely been the most popular products, altough lately wine cellars and a recovery of organic agriculture have prospered. One restaurant in Aranjuez hosts a Michelin star as well as many others are catalogued as mandatory destinations in the Madrid regions thanks to their quality. At lunch weekday time many restaurants and bars offer a menu of the day ("menu del día") consisting in a first and second course, including bread, a drink and a desert or coffee to end up. Prices between 12-15 euros are easily found. The above time warning only applies to this eating style. Tapas and raciones are available during larger time intervals. Aranjuez is a very safe city with the lowest criminal records in Madrid region. Nonetheless, take care of your wallet, electronic devices, personal laptop and belongings at any time.